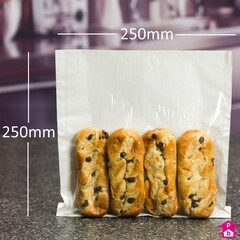 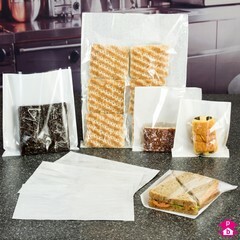 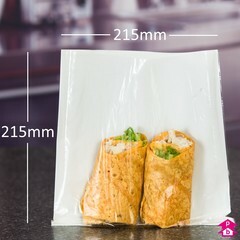 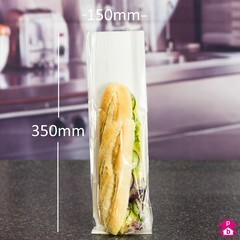 10% off film-front window bags with a clear 20 micron polypropylene front and a white acid-free kraft paper back. 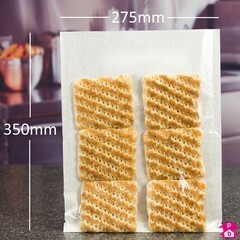 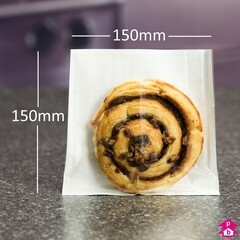 Used extensively by bakeries and delicatessens. 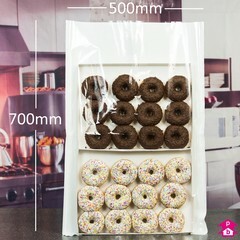 Great for doughnuts - Mmmmmmm!